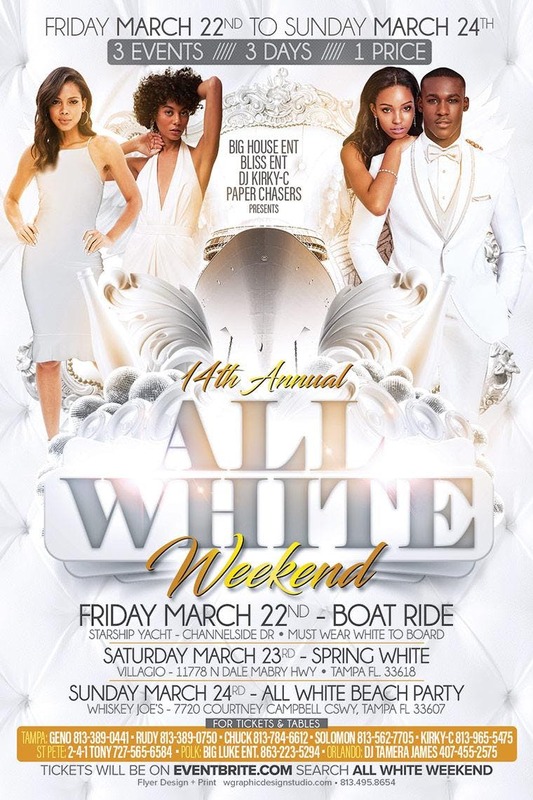 March 22nd-24th its our 14th Annual ALL WHITE WEEKEND. 3 PARTIES 3 NIGHTS 1 PRICE Friday March 22nd it’s our 14th Annual ALL WHITE YACHT PARTY on the Starship Dining Yacht(603 Channelside Dr.). 3 LEVELS 3 Different Types Of Vibes.